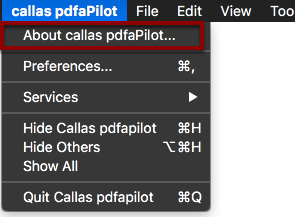 If you wish to use pdfaPilot on another computer - for example, because you have acquired a new device - you must first deactivate the application on the last computer used. 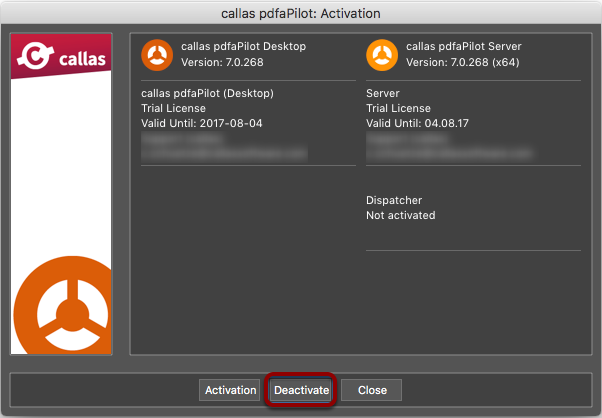 In the Activate window, you can deactivate the pdfaPilot by clicking Deactivate. 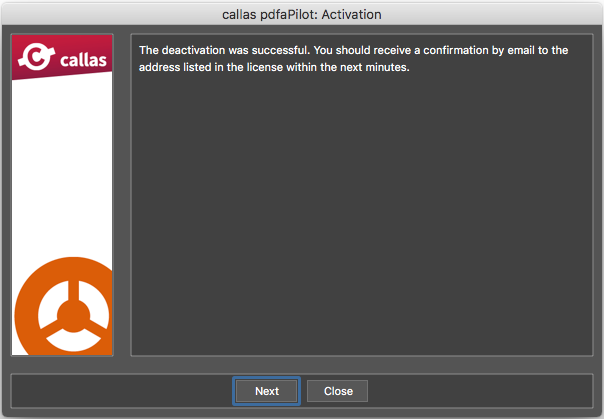 pdfaPilot will report Successful Deactivation and inform you that an email confirmation has been sent. This email will also contain a new key code which you can use to activate pdfaPilot on another computer. 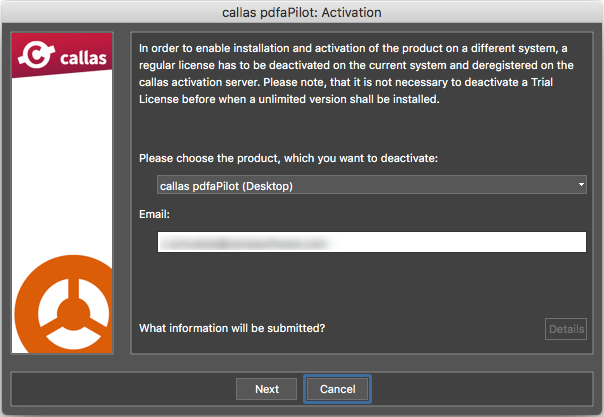 To learn how to activate pdfaPilot, visit the support article Activation procedure: callas pdfaPilot Desktop.